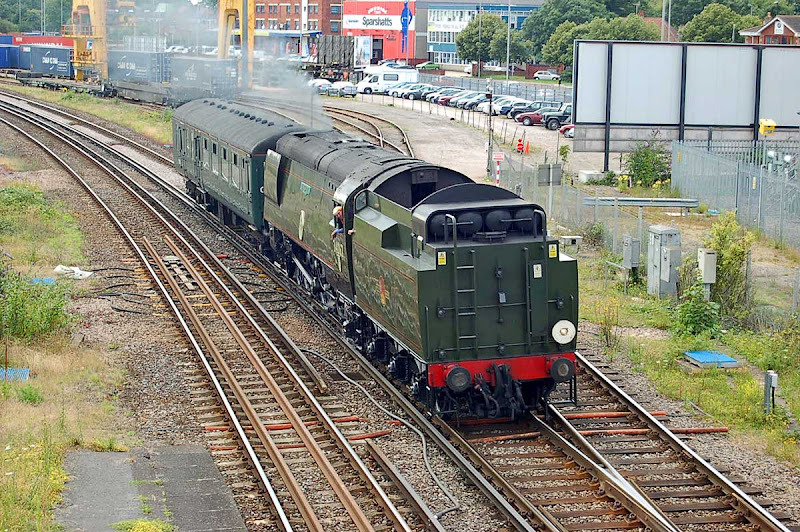 34067 Tangmere working 5Z97 15:10 Swanage - Salisbury past Millbrook. Image by Ian Knight. 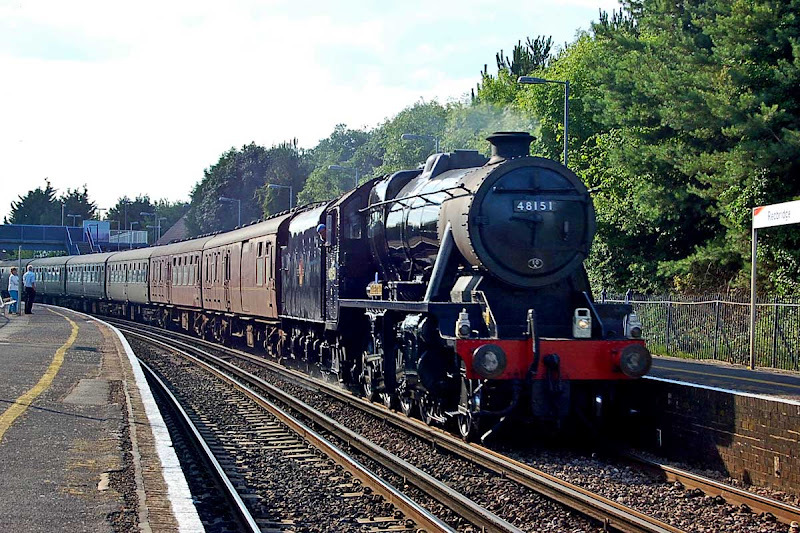 Later 8F 48151 Gauge O Guild passes Redbridge with 1Z97 16:00 Swanage - Salisbury. Image by Ian Knight.